Tracermax can design tag schedules, give recommendations for tracer choice and concentration for your particular application, as well as, and provide interpretation of tracer study results and well logs. Tracermax offers significant economic benefits over commonly used open source radioactive tracers in many of its applications. Tracermax is a Green technology that gives users environmental stewardship for the preservation of subsurface freshwater sources. It provides key information to insure fluids containment of petroleum reservoirs and allows planning for the optimization of selected oilfield operations. Tracermax gives quality assurance for your tracing application(s). 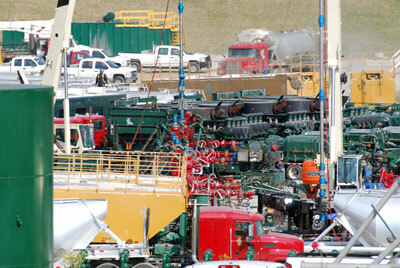 Patent pending Tracermax well logging tools are currently under development and will be available in the near future. Copyright © 2009 Tracermax. All Rights Reserved.